Get unlimited access to play over 100 great games, including highly-anticipated Xbox exclusives, for one low monthly price. * Play a wide variety of games from every genre from blockbusters to critically-acclaimed indie titles. You’ll always have something new to play, and you have the freedom to discover and play games you’ve always wanted to play, or revisit favorites that you’ve been missing. 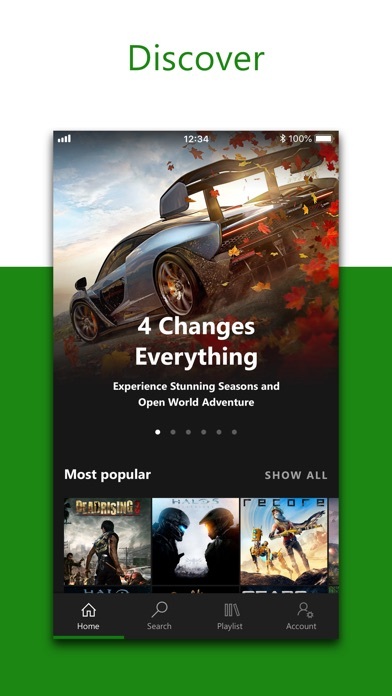 Download the Xbox Game Pass app to search, browse, and download new games to your console when you’re on your mobile device. How does Xbox Game Pass work? 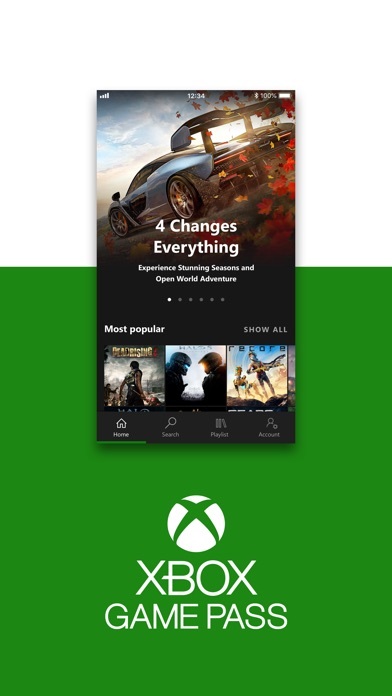 - Join and play over 100 great games including new award-winning Xbox exclusives the same day they’re released - Use the Xbox Game Pass app to browse and download games to your Xbox One so they are ready to play when you are. Set your console to “Instant-On” to allow game downloads when you’re away. 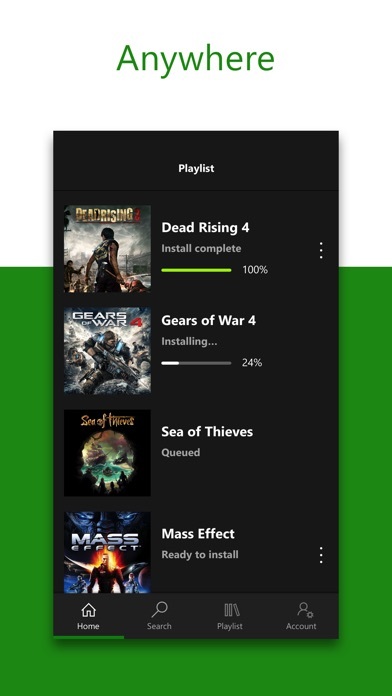 Find this in the Power & Startup menu in Settings - Receive notifications about new games coming to Xbox Game Pass, and start playing the moment your game is available when you pre-download it to your Xbox One. - Save up to 20% on Xbox One game purchases from the existing Xbox Game Pass catalog, plus 10% off any Xbox One game add-ons For help, please visit support.xbox.com *Game catalog varies over time. Discount offers exclude titles within 30 days of launch; discounts based on Microsoft Store price. Some discounts not available with select titles. Game content on game pass was spectacular at first with gears 4 and forza horizon 4 but now is simply magnificent with shadow of the tomb raider and now monster hunter world don’t stop the amazing job you have a permanent Xbox and Microsoft fan 4 life. This is a good app, but I can’t seem to get the rewards to work. I keeps saying I need to refresh the rewards page, and that doesn’t work. Anybody else have this problem? How can I fix this? Game pass is a wonderful way to play as many games as your heart desires without going broke. Can’t afford not to try Game Pass!!! 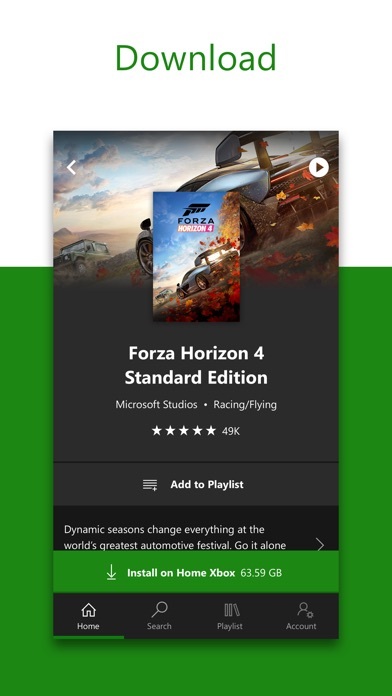 I have Game Pass a try when I saw that Forza Horizon 4 was available the same day as it was released. I had planned on buying the game, but instead I paid $9.99 for a 3 month trial and had that game plus tons of others. I originally figured that 3 months with the game would allow me to play enough to be satisfied without actually buying it and then cancel the Game Pass having only spent $10, but as time passed more amazing games were added to the roster regularly. I’m at the point now that I actually have too many games I’m currently playing and new games keep coming, but that’s a problem I’m happy to have. I have no plans of canceling my Game Pass membership in the foreseeable future. Thankyou Microsoft’s XBOX Division for all the hard work in putting XBOX back at the top of the console war.